Saudi media this past week unleashed a bizarre smear campaign targeting Canada’s treatment of women. It highlighted, for example, the disappearance of 1,000 indigenous women over the past hundred years, without mentioning steps taken in recent years to mitigate the problem. Women in Saudi Arabia have to get permission to marry, get a job, or travel abroad. A diplomatic feud between the two countries started recently when the Canadian Foreign Ministry called for the release of women’s-rights activists detained in Saudi Arabia. 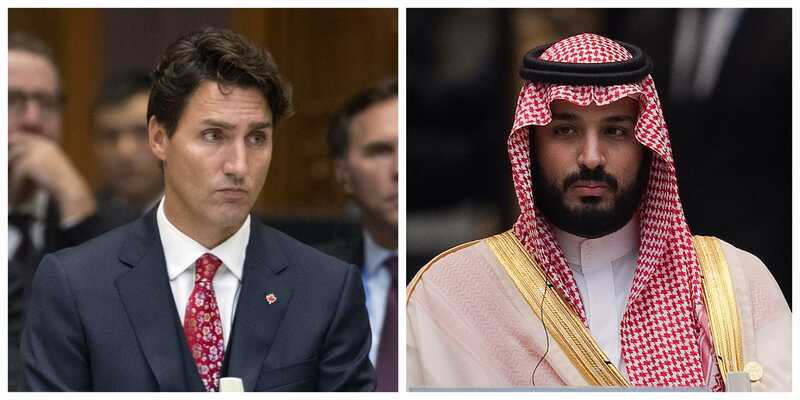 Saudi Arabia and Canada’s diplomatic feud over human rights took a bizarre turn recently when the kingdom unleashed a smear campaign targeting Canada’s treatment of women. After the Canadian Foreign Ministry called for the immediate release of women’s-rights activists detained in Saudi Arabia, the kingdom unleashed an attack that cut nearly every dimension of bilateral ties between the two countries. Fahad Alshlimi, a Kuwaiti commentator, said on Saudi TV last week that Canada had one of the world’s worst records for its treatment of women, according to a translation from the National Post. Other commentators on Saudi media pointed to the disappearance of about 1,000 indigenous Canadian women over the past hundred or so years. Canadian Prime Minister Justin Trudeau campaigned on investigating these disappearances, and he has since launched an investigation with $US41 million budget to find answers. The Saudi media blitz also bashed other negative elements of Canada’s history, including its treatment of indigenous people, without mentioning steps taken in recent generations by Canada’s government to acknowledge and mitigate the problem. Saudi Arabia, an absolute monarchy ruled by its interpretation of Islamic law, also considers all women to be under the guardianship of men. Women in the kingdom must get permission to marry, get an advanced education or a job, or to travel abroad. In Saudi courts, a woman’s testimony generally counts as half of a man’s, the US State Department wrote in its annual report on Saudi human rights. 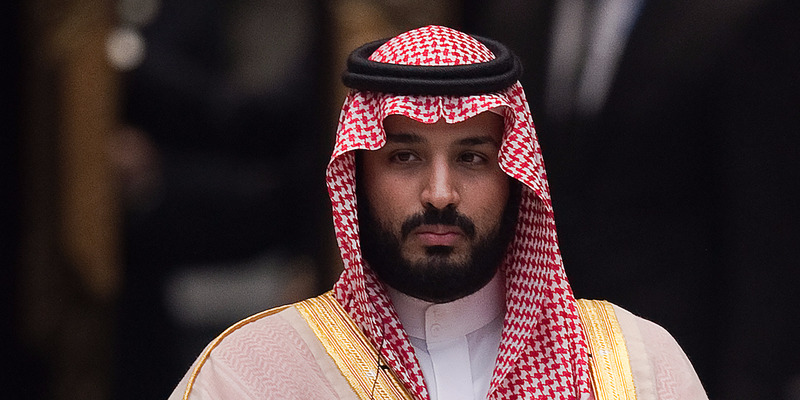 Women’s rights in Saudi Arabia have gradually improved over the past few years, but they remain a hot issue as the kingdom has detained many activists, often on the grounds of what it calls anti-government activity. Non-heterosexual Saudi women also face persecution, as the country has criminalized homosexuality and enforces a death penalty on it. 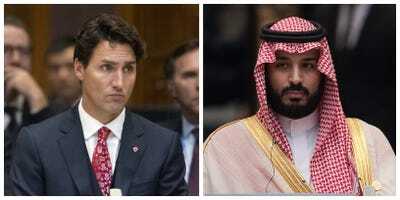 Getty Images/Business InsiderCanadian Prime Minister Justin Trudeau and Saudi Crown Prince Mohammed bin Salman. While it may seem a bizarre choice for a country with laws like Saudi Arabia’s to go after Canada’s record on women’s rights, one should view it in the context of Saudi media. The media in Saudi Arabia is either owned by or exists in tight alignment with the monarchy and therefore rarely covers negative stories for the crown. Citizens of the kingdom have their access to outside media censored and now have been largely banned from education in Canada as a result of the spat. İyad el-Baghdadi, a human-rights activist who lives as a political refugee in Norway, called Saudi’s attacks on Canada a “new normal within the Arab world since the failing of the Arab Spring,” the protest movement fuelled by social media that swept the Arab world in 2011. “You’re just being made aware of it now because the sewers have overflown,” Baghdadi tweeted.